A special tour bus " A Thousand Year Tancho( Red-crowned crane) is now being operated. it's very convenient for those who want to see Tancho in the limited time. For now, special discount coupon( adult 4500 yen/ child aged 12 and under 3100 yen) is being sold. 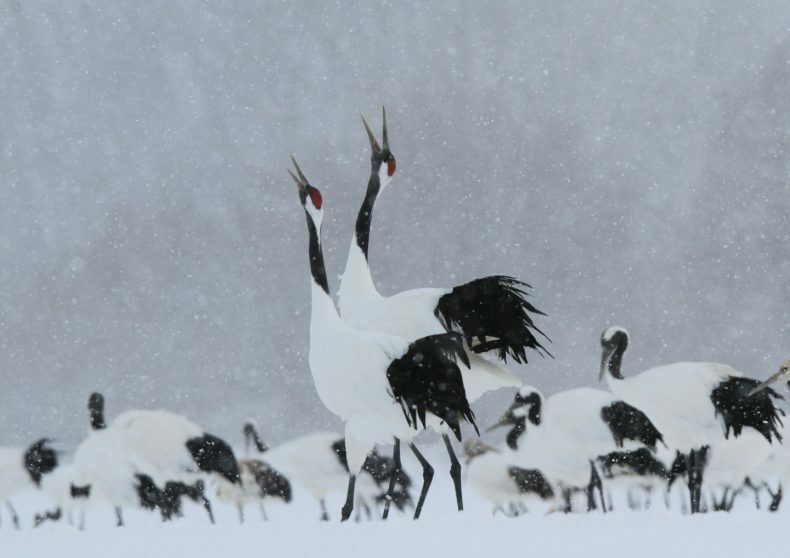 It includes round bus rides from Lake Akan to Akan International Crane Center, lunch, admission fees for the Crane Center & Kushiro Shitsugen Museum. There are 2 couses; Tour A "from & to Lake Akan" Tour B "from Lake Akan to Kushiro Airport"